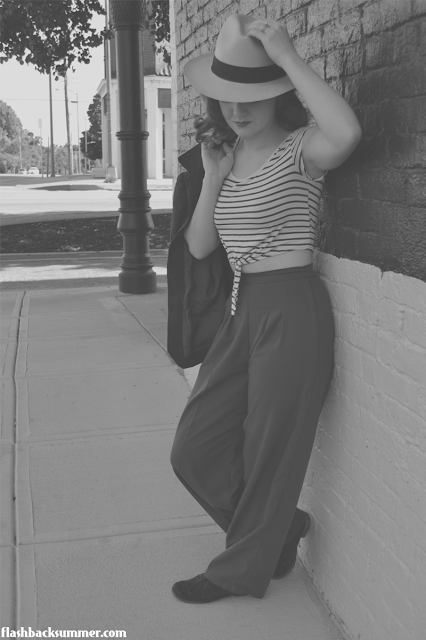 When it comes to being content with one's wardrobe, I've figured out that a key ingredient is choosing classic, timeless pieces to begin with. These are the pieces that you keep for years because they never go out of style and they work for your life. A Panama hat is one of those classic pieces! 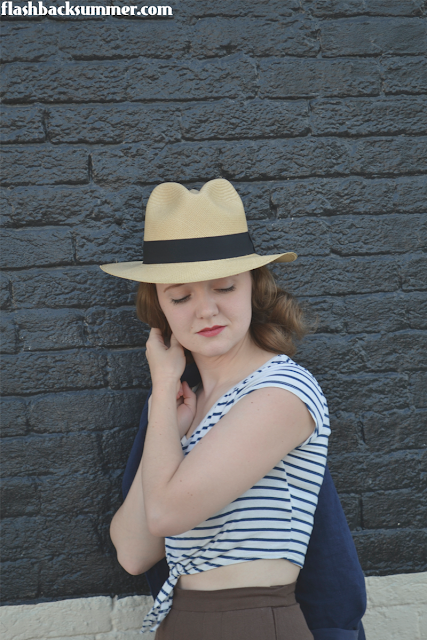 I've got a short history on the Panama hat, along with a discount code at the bottom from Muchana, in case you'd like to order one of these classic hats for your very own! Muchana is a company I met at the Go Blog Social conference, and they offered to send me a complimentary hat so I could share my honest thoughts of it with you all. The company works with Ecuadorian artists to create some of the most lovely hats I've ever seen! The weave is beautiful, and I could distinctly feel the high quality when I touched the hat for the first time. It's going to be my summer staple, guaranteed. 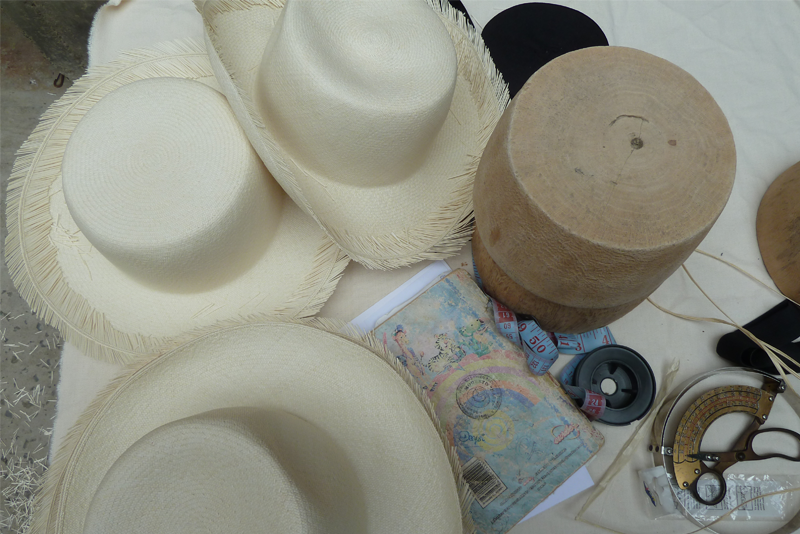 So now for you vintage history lovers... Where did the Panama hat come from? And in case you think you know about Panamas already, the history goes back further than you might think! With documentation as early as the 1600s, the Panama hat is a staple for the vintage wardrobe, or even a historical one! The Panama hat actual began as a traditional hat of Ecuador. 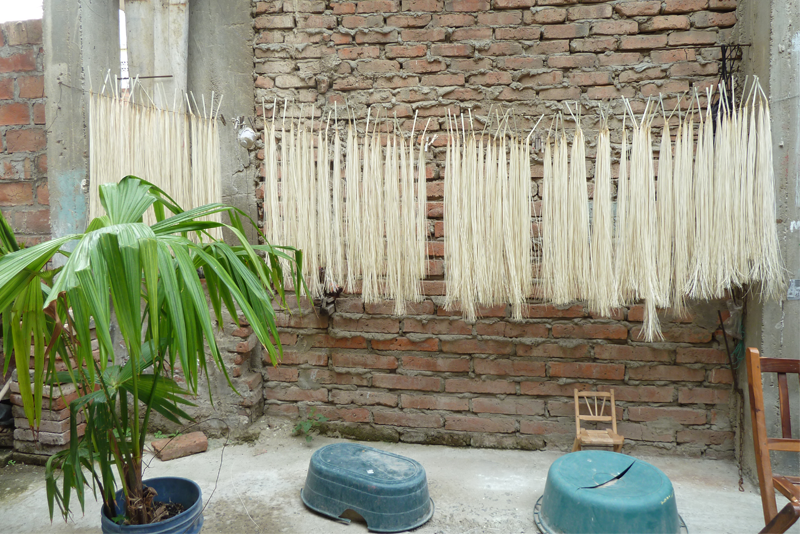 As far back as the 1600s, Ecuadorians would make hats out of toquilla grass, weaving them and shaping them with expertise. Then, in the 1850s, the Gold Rush began. As miners took sea routes from the Eastern portion of the U.S. to California, they stopped in Panama. 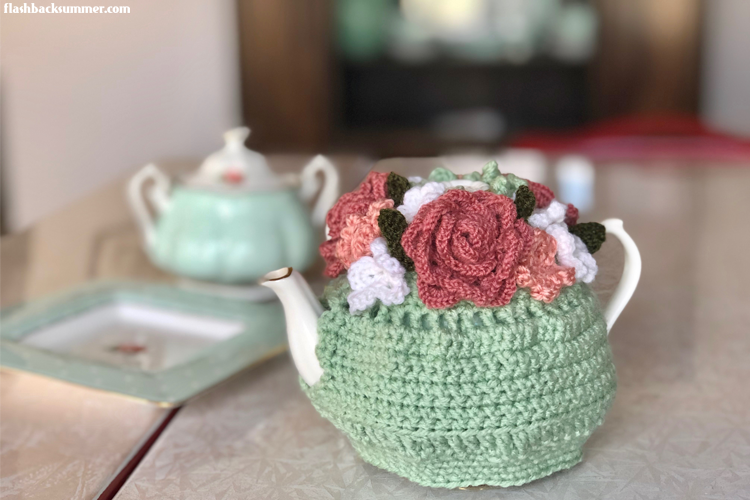 Savvy Ecuadorian businessmen saw a new market for their traditional hats and realized Ecuador wasn't as convenient a stopping point, so they exported hats to Panama to sell to the traveling miners. These hats were a big hit in the warm, humid climate. The grass made the hats very breathable while providing necessary sun protection. This is why they're called Panama hats instead of Ecuador hats! Besides miners, 1855 brought the Panama hat to a new audience at the World Exposition in Paris. It was immediately embraced as the fashionable hat of the time, and rich and elite Europeans scrambled to buy their own. Prices skyrocketed, and King Edward VII even paid about $13,700 (in today's money) for the finest Panama hat that could be made. Not only were the hats stylish, they were also so practical that a version of them were issued to the U.S. military in the 1898 Spanish-American War as part of soldier's uniforms. In the UK, the royal family left their mark on Panama style, too. After the death of Queen Elizabeth in 1901, many people wore a black band around their Panamas as a sign of respect. Most Panama hats still retain this black band today. 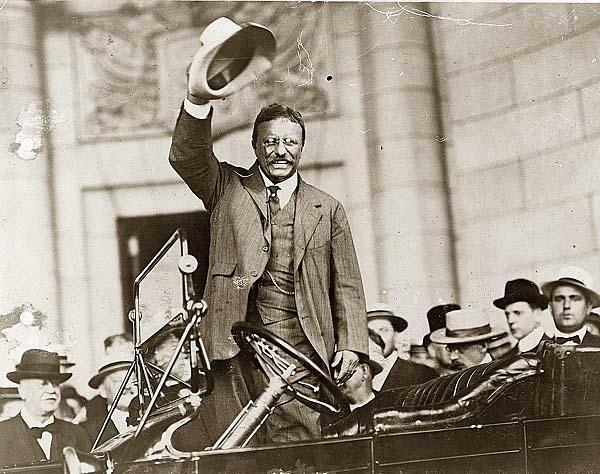 1904 was also a big year for the Panama hat in the U.S. In this year, President Theodore Roosevelt began work on the Panama Canal. He was snapped in an iconic photo holding a Panama hat, and it became a dapper style choice for men all over the U.S. 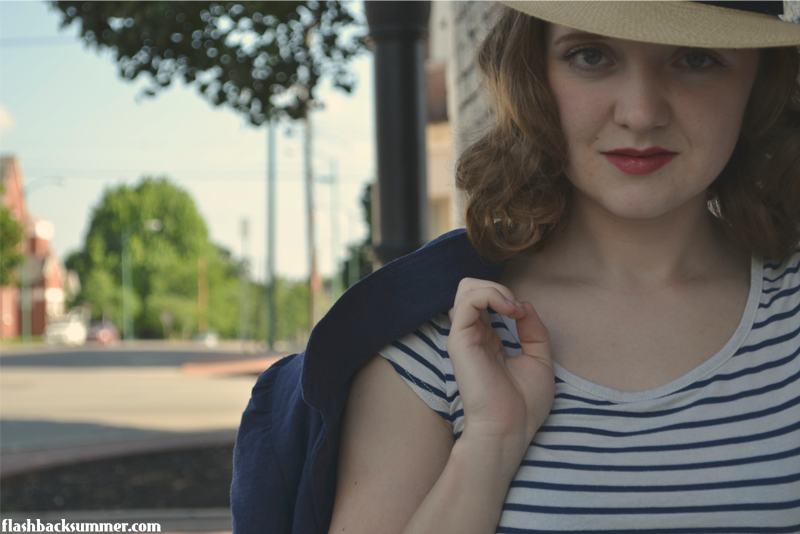 The Panama hat influence is clearly seen in the styles of women's hats, especially in the 30s and 40s. 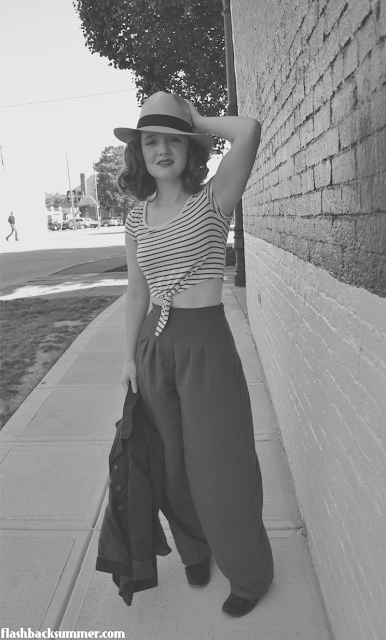 I wanted to channel that sort of look with my styling of this hat, and throughout this post are photos of my Marlene-menswear-inspired look incorporating a Panama hat from Muchana. 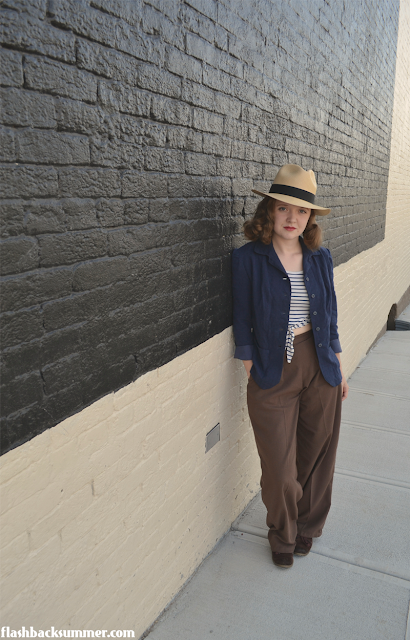 I was surprised at how my pants, blazer, and Panama are all, essentially, exact reproductions of what could have been worn in the 30s and 40s, but the look felt so modern. THAT is what classic, timeless pieces do for your wardrobe! Nowadays, the Panama hat is mostly worn by rural peoples in Ecuador, but it's experiencing a bit of a resurgence in the West. Personally, I'm loving mine. It's so much lighter than most other hats, and it really does keep my head cool in the summer heat! 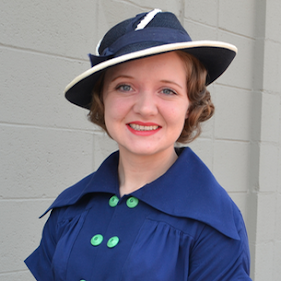 What's better than a practical and fashionable and vintage-appropriate hat?! They have lots of other colors and styles! This panama hat was given to me by Muchana, but all thoughts and opinions are my own and honest! I love Panama hats! I only just got one myself and it makes a huge difference in the summer staying cool. I like the masculine styling you have opted for. It is a very chic look! Your looking amazing as usual! He WAS a stylish farmer! That's awesome, and how wonderful that you still have to remind you of him. Very cool post and history! I can confidently say, for all the hats I own, and have owned, in my life, this is one style I've not yet had the pleasure of road testing. I worry that it wouldn't be flattering on me, but only time and a test drive would tell. They certainly look great on you! This outfit is so cooooool! Thank you so much for this inspiring post! Loved the history lesson the Panama Hat; I think it's so fascinating to learn about these things. Of course, you styled it perfectly ~ the Marlene Dietrich look is a great masculine feminine look and I think it's so edgy that it looks modern even if it is fully vintage. I can't say I've ever worn a Panama myself, but I love my fedora and could see myself trying one of these hats someday! I'm glad you liked it, Bonita! I agree, the Marlene look is still edgy even today. Now THAT is timeless class! 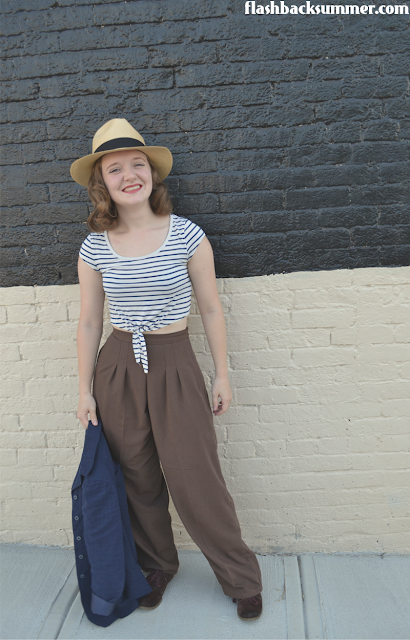 It's so true, stripes and wide trousers always work! Timeless combo. I'm glad you liked the post and found it useful! I remember reading about this history. I love how some clever marketing changed the history of a hat. 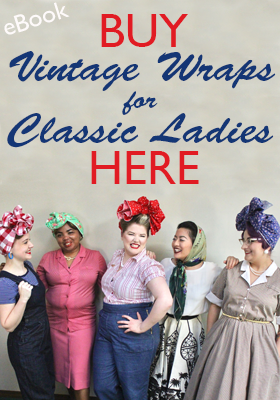 How Do You Sew & Accessorize? $20 Flash Sale THIS SUNDAY!